Daniel Sturridge hasn’t scored a goal for West Brom since his deadline day January loan move. But in fact, he’s barely played at all. The Telegraph report that the English forward has cost them £50,000 for every minute of football he’s played since making the switch. He’s only played 77 of them, but still, it’s pretty crazy. 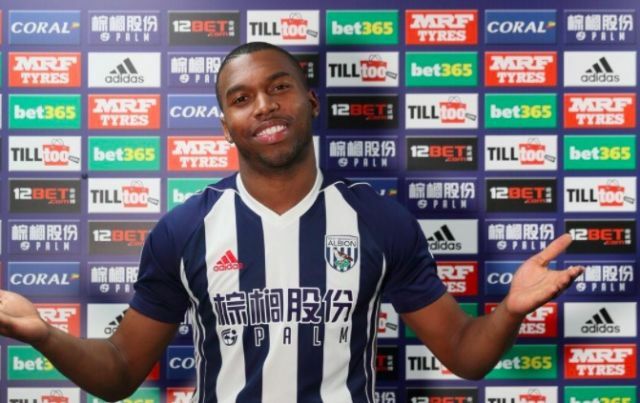 WBA agreed to pay of all Sturridge’s hefty wages in a gamble that they hoped would save them from relegation. It’s failed, they’re 100% going down and Alan Pardew will unlikely stay in a job. What’s most unfortunate for Liverpool though is that Sturridge’s failure at the Hawthorns will put teams off from buying him permanently this summer. He obviously needs to leave, for his own good and ours, but the kind of transfer fee Liverpool will have hoped for now looks impossible. In all likelihood, we’ll sell for around £10m, which is a bargain if any club can keep him fit for even half a season. We wish him all the luck for the rest of the campaign, obviously. Win up to £1m for picking 6 Correct Scores from this weekend’s action (and it’s free!) If you’re doing well at half-time, you can cash-out for a tidy profit! Just Follow this link to register and play Betfair’s Pick 6 (over 18s only, one entry per customer, terms apply). Entries close at 3pm Saturday, so get your selections in before then!